Right about the time that school was starting back up for most of the kiddies I wrote a post about the new HP Pavilion dv6 and hinted at a possible giveaway. Are your ears perked up yet? Well, that time is coming very soon folks, VERY SOON so sit tight! I cannot begin to tell you how much cooler and more comfortable it felt to be using this laptop because of the HP CoolSense technology. When working from home and having to watch my son I often have to grab my laptop and place it, well, on my lap. Novel idea, no? But seriously, on those occasions I don’t have a desk around and need to use my lap I don’t have to worry about my legs heating up. Trust me when I say that is a huge deal for me and my sensitive thighs. What happens is thanks to the automatic detection system it senses where your PC is being used and will automatically adjust the cooling. And it doesn’t hurt that their are strategically placed vents to help minimize heat and channel it away from the PC’s base to keep your notebook PC from overheating or that there is also HP Thermal Assistant software which lets you specify your cooling preferences (maximum cooling, quiet or optimized performance) and automatically shifts into that mode when you’re mobile. Staying in touch with loved ones is very important to our familia – family. So, now that my son has learned the fine art of using the laptop to talk to familia in North Carolina and New York I’m really grateful for the HP Truevision Webcam. With the image-sensing technology we can shoot videos or web chat in bright or low lighting because it adjusts to the light, giving us the best video images possible. And nothing makes them happier than to be able to see my son’s adorable little dimples and bright blue eyes as clear as if they were right here with us. 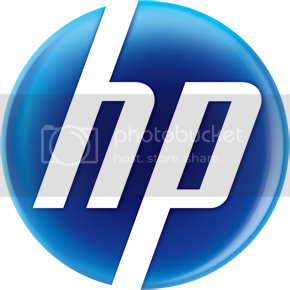 Now onto one my most favorite new features which makes me feel like Jennifer Bond, Super Secret Spy…the HP SimplePass. You can securely access your online accounts and passwords with the swipe of your finger. You heard me right. You can play Mission Impossible with this baby! If you’re anything like me you have a gajillion places where you may or may not have your passwords stored. So many to keep up with! Instead of worrying about keeping track of them you can now make your fingerprint your unique key to PC security. Just slide your finger across the built-in fingerprint reader on your laptop to auto-populate passwords for online accounts and websites. And I might add this is a nice feature when you have hubby and little one trying to access the laptop all the time. No more. Stick to the desktop darlings and leave this awesomeness to mami! So now that I’ve “wooed” and “wowed” you with the HP Pavilion dv6 I bet your ready to throw a sparkly diamond at me, right? No worries. We’re old fashioned here so let us instead propose to you. I propose – I’m down on one knee so please say yes – that we give away one of these beautiful laptops to one adoring reader. Oh, need time to think about it? That’s cool. Let us know by tomorrow, September 16th – when our Giveaway post is up and the Giveaway officially begins – your answer if your in it to win it. In the meantime if you feel like “wooing” us too by all means tweet us with #AClaseConHPyIntel and let’s get the party started! Friday is going to be lots of fun thanks to our friends at HP and Intel. Without them none of this would be possible. Show them some love mi gente – my people! Nos vemos este Viernes – We’ll see you this Friday. HI, I can’t wait for this giveaway to begin! I’m ready to comment about how I would use it and how amazing it would be!! haha. Has it started yet? I thought it would be up last friday but I didn’t see it. Thank you!